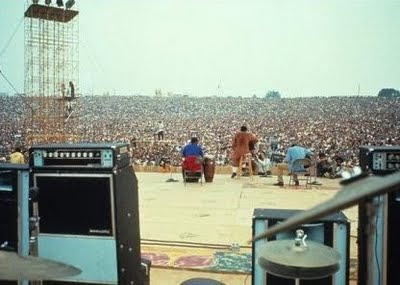 This year marks the 40th anniversary of Woodstock when, in August of 1969, half a million people made a pilgrimage to Max Yasgur’s dairy farm in upstate New York for “three days of peace and music.” More than just a concert—although with such artists as the Jefferson Airplane, Sly & The Family Stone, CSNY, The Who, and Jimi Hendrix on the bill, it was quite the concert—The Woodstock Music and Arts Fair ultimately reflected the ideals and convictions of a generation of kindred spirits. 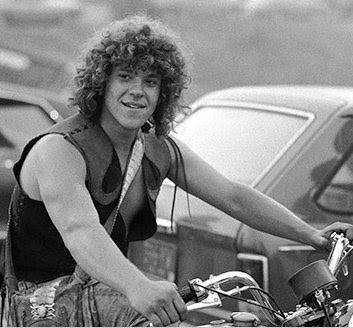 For all that’s been written on Woodstock, relatively little has addressed the nuts-and-bolts details of its genesis and preparation—certainly not to the extent that the festival’s co-founder, Michael Lang, does in The Road To Woodstock: From The Man Behind The Legendary Festival. In a narrative that's equally pragmatic and personable, Lang chronicles the integral decisions and logistics that went into making the event possible and how even the most unforeseen circumstances were handled (and, more often than not, overcome) along the way. It's an engrossing read throughout, certainly for music fans but also for anyone interested in pop culture in general. In this exclusive conversation with Donald Gibson, Lang revisits The Road To Woodstock to speak of the festival’s underlying objective and how its legacy continues to inspire and manifest in constructive, conscientious ways today. In the book, you write, “For me, Woodstock was a test of whether people of our generation really believed in one another and the world we were struggling to create.” How long after the event did you think that ideal came true? I don’t think it ever really fully came true. I think it’s still manifesting today. What we got was a taste of what it would be like if people became more of a family of man or of humanity rather than the environment that we were in. To me it just signified that there is the possibility of us creating a better world to live in and to relate to each other in a better way. The event certainly captured a sort of spirit or zeitgeist. Do you feel that kind of momentum and communal spirit can still be nurtured? I definitely do. Not necessarily at a concert or festival, but wherever people come together with good intent, I think there’s always that opportunity to create that kind of spirit. And it has a lot to do with being willing to actually put yourself out for your beliefs... I think that that’s always going to be a possibility. In the planning stages of Woodstock, what was it about a mass gathering in one location that appealed to you in expressing the counterculture’s ideals that a tour of smaller events spread out over cities or over time wouldn’t necessarily have achieved? What we were looking for was to bring the whole community together. We didn’t realize how big it was. We thought to bring these like-thinking people together to see each other and celebrate the efforts we’d been making over the past decade and come together as sort of a tribal gathering, if you will. I think that was the attraction for me and obviously for a lot of other people. It was just that wanting or longing for us to become a community in one place at one time. That was the attraction over a tour. It wasn’t just about entertainment; it was really about becoming this community. You planned for 200,000 people. Then it became clear more than that was showing up—and they weren’t paying to do so. If it had gone according to planned and you’d actually gotten 175,000-200,000 people, do you think it would have resonated and become as significant as it turned out? I don’t know if it would’ve resonated the same way around the world as it did. I think it certainly would’ve resonated as well for the people who were there. The fact that it was free—which people point to as one of the things that made it so special—in my mind was just a happenstance. I don’t think that had anything to do with it. Our attitude on how to deal with it was probably significant. We didn’t do stupid things to try to cure something that was already a fait accompli. Most people coming were looking to buy tickets; we just didn’t have ticket booths. So I think that the experience was the result of really the environment that brought people into. And they would’ve had a very special experience in any case. That a million and a half people were on the road and they had to close the freeway and they had to close the Canadian border and the traffic jam stretched for 100 miles—those are the things that build legend... I think the significance of what could’ve happened and what did happen would’ve been the same. What distinguished Woodstock from what happened at Altamont and some of the negative vibes at the Isle of Wight? Again, I think it’s planning and intent. There was no planning at Altamont. And the result was kind of chaos. And the Isle of Wight, their intent was to make a bunch of money. Nothing wrong with that, but that was really their main focus. And I think that they dealt with it poorly and that resulted in all those bad vibes floating around. Woodstock seems to be an anomaly, but an anomaly in a very positive sense. Yeah, I think that’s true. But again, it’s because of what we were in it for. Obviously there are parallels now to then. You had a war that many disagreed with and rallied against. We’re engaged in a war now that most people don’t agree with. Do you see any other parallels, either socially or musically? I do. Musically, I think it’s a very different time. The Internet, Pro Tools, and technology have sort of taken it to a whole new accessibility, both for sharing it and for making it. The music business in itself is in such strange shape and is in the midst of trying to figure itself out. It’s kind of an interesting time and one I think that will produce a new direction eventually. Sociologically, there are those movements that were started in the ‘60s that were looked at as accoutrement to the hippie generation or whatever... There were, I thought, very important and very insightful sustainability movements afoot. There were green movements afoot. The first Earth Day was after Woodstock. Holistic medicine, alternative treatment, all of those organic pursuits seemed to have flourished in the ‘60s amongst the counterculture and then disappeared into mainstream life and emerged again as a big part of our world—some unfortunately because of a threat like global warming, but others because we were right about the healthy nature of living. In the acknowledgment section of the book, you say, “I realized that much of what happened at Woodstock and the months leading up to it was a result of my own inner journey. That’s something that’s usually hard for me to reveal.” In what ways was that difficult? It’s something I don’t usually share with people. I do what I do and internalize the things that get me to certain decisions, certain actions. This is how I’ve always been. I’m very private. I guess it’s a fear of being thrown off course. So I just never go there, that’s not my style. And so in writing the book, I had to sort of delve into that. It wasn’t just the results of those things; I wanted to let people see what the internal process was. And it was very rewarding at the end of the day. In your opinion, what is it about music that makes people want to get together to hear it collectively? I’ve always thought that music was a great communicator and a great bridge that strikes you on an emotional and gut level. In that era in particular, the groups and artists were very much involved in the counterculture and very much the voice of the counterculture in a way. As diverse as those groups were—from folk to Jimi Hendrix, funk, blues, and everywhere in between—all of the artists in one way or another were very much committed to the ideals that we were as a community committed to. Do you still believe in music’s power to shape or at least to constructively influence a society or generation? 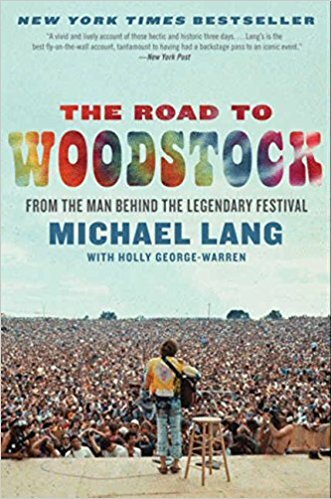 The Road To Woodstock: From The Man Behind The Legendary Festival by Michael Lang with Holly George-Warren is published by Ecco, An Imprint of HarperCollins Publishers. For more information, please visit Woodstock.com.